This isn’t a story about the merits of the keto diet—I’m not a nutritionist, please ask your doctor any and all medical questions, etc. No, this is a story about supportive coworkers, a positive work environment, and a Sprouts supermarket in Katy, Texas. Good Morning America recently profiled five employees of said Sprouts, who collectively lost 200 pounds (and they’re still going) by all switching to the ketogenic diet. 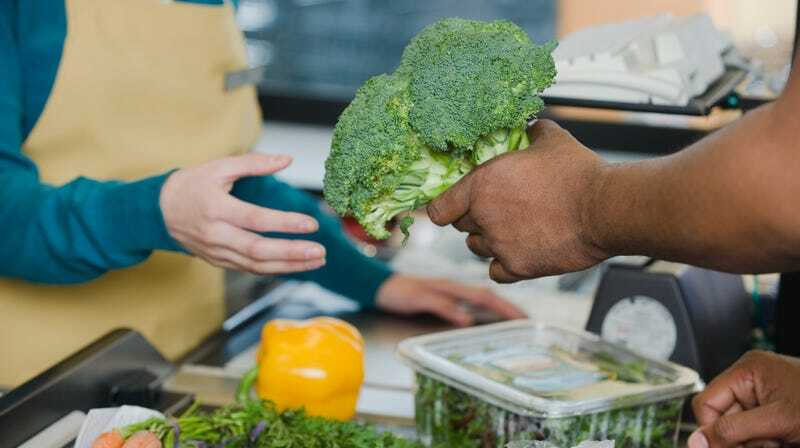 The five store employees have collectively been on the diet for months, encouraging each other, sharing recipes, and looking for keto-approved foods in the store. (The keto diet basically calls for ditching carbs in favor of protein and fat, which is designed to force your body to burn fat for energy.) They call themselves the Keto Krew. “Morale is up. Everyone is trying to help,” store manager Nick Glidden told GMA. He said was inspired to start the diet after another employee dropped two pants sizes in a matter of weeks. The moral of this story: Diets are hard, but they’re made easier when you’ve got a supportive group pushing you on. Hats off, Sprouts employees.